Mitt Romney and his campaign ran away from Joe Ricketts like the Scooby gang running away from the ghoul-of-the-week. First, Romney’s campaigan manager denounced the “Ricketts Plan.” Then Romney used multiple controlled media opportunities to denounce it. “I repudiate that effort,” said Romney. “I think it’s the wrong course for a PAC or a campaign.” Becki Donatelli, the online strategist promised to Ricketts in the plan, took an even starker tone as she denounced it. “Anyone who knows me knows that John McCain is my political North Star,” she said, “and I would never participate in anything that denigrated my political hero or in anyway distracted from or undermined the ultimate success of the Romney for President Campaign.” It’s all a little awkward. Up to now the Romney campaign – aided by a thick-as-thieves relationship with the Drudge Report – has been quick to jump on scandals and stories that the base wanted it to use. It built then rode an outrage rollercoaster out of Hilary Rosen’s CNN riff on motherhood; afterwards, the campaign used the Rosen story to prove to conservative bloggers that it “got it.” The subtext: McCain didn’t get it. Guys, we know. We’re not going to let Obama off easy, like McCain did. 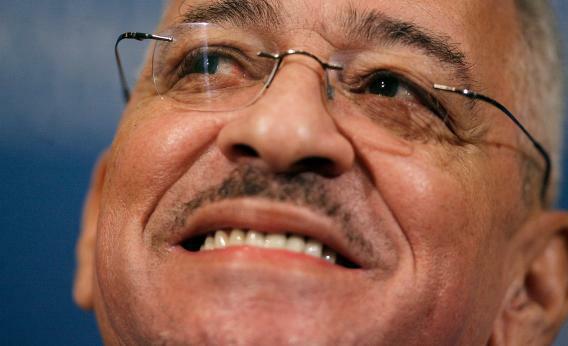 And then came the Ricketts Plan and the idea of Jeremiah Wright campaign ads. It’s the first general election instance of the Romney campaign ducking a story that the base wanted it to use. Last night, on his Fox News show, Sean Hannity was barely consolable. “I think for Governor Romney to take it off the table – he doesn’t have to talk about it,” Hannity whimpered. “But to repudiate people that do…” No conservative pundit has pounded the Wright story like Hannity has. A quick Lexis search of Fox News transcripts reveals that Hannity has mentioned Wright in 291 segments of his show – after January 20, 2009. Obama had been sworn in, Hannity couldn’t drop the bit from his teeth. It’s the media’s Original Sin. Why, all they did was discover the Wright tapes (ABC News), discuss the story for weeks, and show up en masse to Wright’s National Press Club appearance right before the Indiana primary to cover him again. What pissed off Hannity and other conservatives was that the Obama-Wright story wasn’t covered every day, early on, before Obama could surge. Brian Ross was hassling Michele Bachmann about her migraines in the summer of 2011. Why the hell had he only gotten to the Wright story in the weeks before the 2008 Pennsylvania primary? It’s a wound that never heals, and Hannity wants everyone to see it. The only recent instance we have of Romney commenting on Wright is… why, a February interview with Sean Hannity, a softball affair that found its way to the Wright issue. Before the Ricketts story exploded, the big Undernews story in Hannity’s shows was author Ed Klein’s interview with Wright, in which the reverend claimed that an Obama ally – acting rogue, apparently – offered him $150,000 to shut up before the election. (Wright actually shut up and left the country before the election, but says he took no money.) Hannity was one of the very few TV hosts to bring the discredited Klein (his last book was a self-published birther novel about Obama) on to discuss the story. And last night, after the mournful “why has Romney forsaken us” story, Hannity promo’d the special show he had planned for Friday.